as usual the OP is a day late and a dollar short! Fars News reported:Iran on Wednesday dispatched the second cargo of yellowcake produced in Ardakan plant in the Central parts of the country to the Uranium Conversion Facility (UCF) in Isfahan province. Dan Coats should be removed. I guess one could say op got nuked,,, again!! I thought the other golfer got the Free Pass when he called them a JV Team, why all the fear now that he has left the clubhouse?? Only so if you allow the msm to give you your opinion, please cite all the actions by these two that have caused death and injuires to Americans. Remember, the previous golfer was looking for his duck hooks while Putin took the Ukraine!! yeah, i should have never watched the entire c-span televised senate intelligence hearing by our major intelligence agencies. a little knowledge is a dangerous thing as you know. so what did you take away from watching the testimony? you did watch right? hey, since you've certainly never been reticent about exposing and solidifying your own, why should anyone else. But but but...what did your messiah - obama do...? Oh thats right..not a damn thing. remain in denial of the FACTS and continue to expose your ignorance along with swallowing what the deep state insiders spoon feed you. 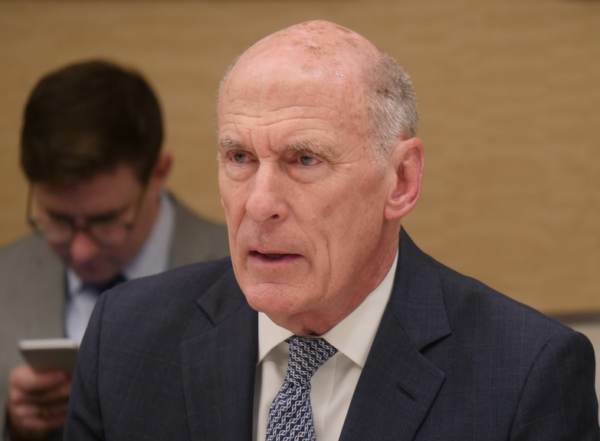 this isn't the first time coats had to walk something back but you are so deeply gut hooked you'll believe anything you're spoon fed as you've exhibited countless times over the years. russia is one of our biggest threats while they have the econ the size of NH at least you described yourself as naive which is all you got right. who exactly is my own sheeple? Last edited by 1%r; 01-30-2019 at 04:16 PM. yep all the other agencies and all the other countries still abiding by the agreement..
Quick Reply: "extremely passive and naive"